Torque EGO Zoom 4G Announced, Budget LTE Phone For PHP 3499! 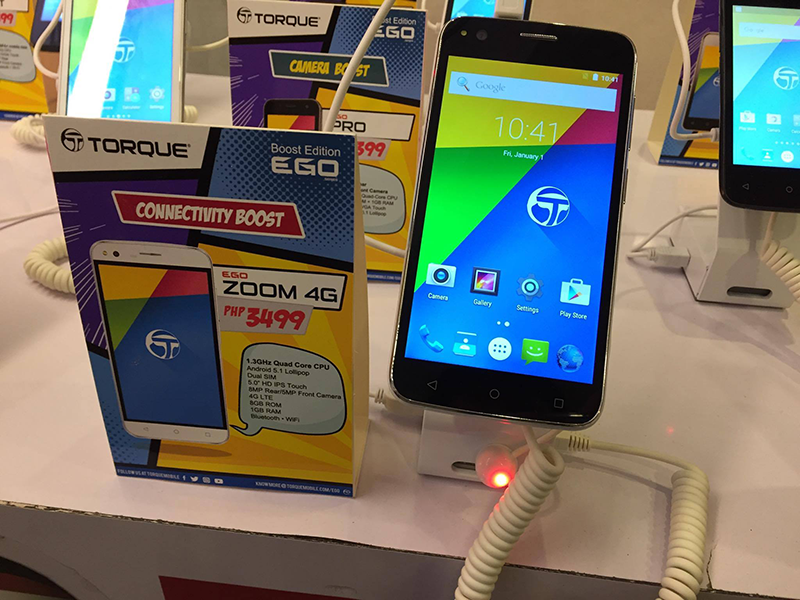 Home / mobile / news / torque / Torque EGO Zoom 4G Announced, Budget LTE Phone For PHP 3499! In an on-going event today, Torque Mobile has released a barrage of budget smartphones and tablets from their EGO series. One of them who caught our attention is the Torque EGO Zoom 4G, a budget LTE ready device. Upon looking at the image of this handset, it reminds me of older plastic entry-level smartphone designs in the past, but it has decent specs to boast. It's equipped with a sharp enough 5 inch HD IPS screen, 1 GB of RAM, 8 GB expandable internal storage, 8 MP main camera, 5 MP selfie camera, WiFi, Bluetooth, 4G LTE, dual SIM slots, and loads with Android 5.1 Lollipop OS out of the box. However, the rest of the missing details like the battery capacity and exact chip they used is still unknown. At least, Torque already has an LTE capable phone in the sub PHP 4K range.